The State of Israel was born on 14th May 1948 which at the time on the Hebrew Calendar, was 5th Iyyar 5708. This links to the Book of Jubilees which is book written by YAH/ELOHIM (a.k.a GOD) defining the division of days and events that took place in those divisions. According to YAH’S WORD, A JUBILEE equals 49 years. The 50th year is the year in which a new chapter begins. If the Jubilee year is the 50th year as confirmed by Leviticus 25:10-11, it must necessarily be a separate year from the first 49 years comprising the whole of the first seven Sabbatical cycles, therefore it cannot be identical with the seventh Sabbatical year as 49 does not equal 50. Jubilee deals largely with land, property, and property rights. According to Leviticus, slaves and prisoners would be freed, debts would be forgiven, and the mercies of God would be particularly manifest. Whenever 49/50 years and 70 years elapse particularly in relation to Israel the Land, something commences in the Spiritual Realm. 8 “Count seven of these years seven times for a total of 49 years. 9 On the tenth day of the seventh month, the special day for the payment for sin, sound rams’ horns throughout the country. 10 Set apart the fiftieth year as holy, and proclaim liberty to everyone living in the land. This is your jubilee year. Every slave will be freed in order to return to his property and to his family. 11 That fiftieth year will be your jubilee year. Don’t plant or harvest what grows by itself or pick grapes from the vines in the land. 12 The jubilee year will be holy to you. You will eat what the field itself produces. 13 “In this jubilee year every slave will be freed in order to return to his property. Remember that 70 is the number of YAH’S COMPLETE PERFECTION! Another Jubilee has been completed (in a different sense) and a New One has commenced. Today is a very special day in the Holy Land Israel but also to everyone who considers themselves to be Jewish around the world! The Nation of Israel was born when the 10th plague hit Egypt. It took the Children of Israel 40 years to move into their Promised Land! Since then, there has been battle after battle over the land which was promised to them. In 70 AD, Israel lost its Independence. The Second Temple was also desroyed then by the Romans. The nation had to regain its Independence in 1948, thanks to former U.S.A President Harry Truman!!! 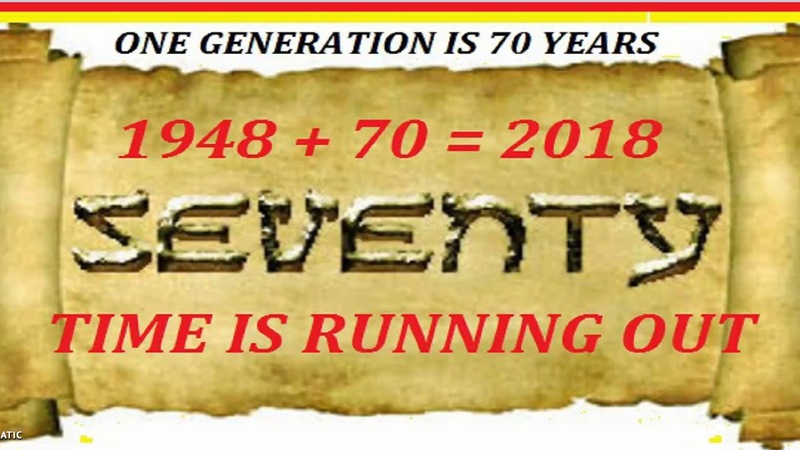 70 is YAH’S special number signifying the start of a new era and YAH’S Complete Perfection!!! Something new has begun today in the Spiritual Realm. 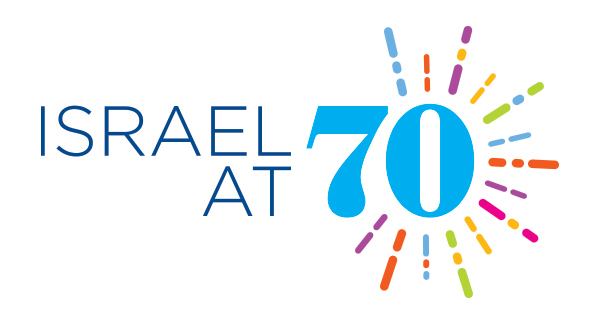 Happy 70th Birthday, (Spiritual) Children of Israel around the world both biological and non-biological!!! 25 The word that came to Jeremiah concerning all the people of Judah, in the fourth year of Jehoiakim the son of Josiah, king of Judah (which was the first year of Nebuchadnezzar king of Babylon), 2 which Jeremiah the prophet spoke to all the people of Judah and to all the inhabitants of Jerusalem, saying: 3 “From the thirteenth year of Josiah the son of Amon, king of Judah, even to this day, this is the twenty-third year in which the word of the Lord has come to me; and I have spoken to you, rising early and speaking, but you have not listened. 4 And the Lord has sent to you all His servants the prophets, rising early and sending them, but you have not listened nor inclined your ear to hear. 5 They said, ‘Repent now everyone of his evil way and his evil doings, and dwell in the land that the Lord has given to you and your fathers forever and ever. 6 Do not go after other gods to serve them and worship them, and do not provoke Me to anger with the works of your hands; and I will not harm you.’ 7 Yet you have not listened to Me,” says the Lord, “that you might provoke Me to anger with the works of your hands to your own hurt. 8 “Therefore thus says the Lord of hosts: ‘Because you have not heard My words, 9 behold, I will send and take all the families of the north,’ says the Lord, ‘and Nebuchadnezzar the king of Babylon, My servant, and will bring them against this land, against its inhabitants, and against these nations all around, and will utterly destroy them, and make them an astonishment, a hissing, and perpetual desolations. 10 Moreover I will take from them the voice of mirth and the voice of gladness, the voice of the bridegroom and the voice of the bride, the sound of the millstones and the light of the lamp. 11 And this whole land shall be a desolation and an astonishment, and these nations shall serve the king of Babylon seventy years. Babylon is no longer confined to one particular country, state or nation. It’s a cluster of nations and appears in every religion around the world with its headquarters sitting in Rome in Italy (where the ‘Book of Revelation Mother Babylon’ is), U.S.A and Saudi Arabia. In Africa, I think Babylon headquarters are in Nigeria. In the ancient days, Babylon was started by Nimrod (mentioned in Book of Genesis) and located in Asia. So the headquarters were Iraq. That was where Abraham had been raised and YAHUVEH GOD told him to leave and go to a land HE would show him…. So Babylon is all over the world. Babylon is also any nation or peoples who hate the Children of Israel and prefer to enslave and/or kill them. Babylon is mixing YAH Almighty with other gods through worship! Babylon includes breaking the first and second commandments as per Deuteronomy 6:6-9, hence idolatry! That’s what Prophet Elijah and Prophet Elisha amongst others were fighting against as recorded in the Books of 1 & 2 Kings, etc….and so on and so forth…. …………..are all Babylon as they seek to recreate the ‘TOWER OF BABEL’ mentioned in the Book of Genesis! Look at the shape and design of the EU Parliament. Notice something interesting? You can only avoid Babylon in your heart, mind and actions as it is a spiritual entity which is manifesting physically in various ways.!!! Sodom and Gomorrah is Babylon too. Practising of homosexuality and lesbianism as well as other abominable practises before YAHUVEG GOD Almighty is Babylon! The Mark of the Beast will confirm physically who truly belongs to Babylon and separate or differentiate between those who truly belong to YAHUVEH GOD thereby having ABBA YAHUVEH ELOHIM’S Seal of Protection from those who belong to Satan for ETERNITY !! !